PRK is very similar to LASIK and both of these eye surgery techniques are referred to as laser vision correction. PRK was the first laser refractive surgery approved by the FDA receiving final approval in 1995. 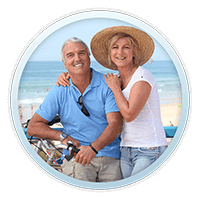 PRK is a safe refractive procedure that utilizes the excimer laser to reshape the cornea and improve nearsightedness, farsightedness, and astigmatism. The amount of tissue reshaped depends on the severity of the prescription. In most cases, 5 to 10 percent of the cornea is removed. Once the cornea has flattened, light rays are more easily focused upon the retina. 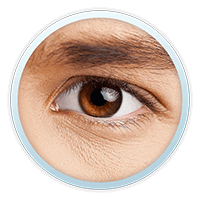 PRK differs from LASIK in that no flap of tissue is created prior to resculpting the cornea with the excimer laser. During LASIK, this flap creation does enable a faster recovery period. When PRK is performed by wavefront ablation with a computer controlled scanning laser, the correction is termed Advanced Surface Ablation. 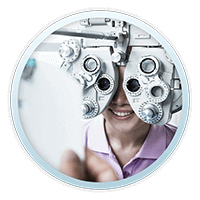 At the Ellis Eye & Laser Medical Center, the preferred laser for this procedure is the Bausch & Lomb Technolas 217 excimer laser with Zyoptix. Dr. Ellis prefers to perform Advanced Surface Ablation by the Epi-LASIK technique in which an ultra-thin 30-micron epithelial flap is created by an epithelial separator. This is accomplished with the Amadeus II epithelial separator, which is a state of the art instrument, used to create the Epi-LASIK flap. The epithelial separator performs this step without a metal blade. For this reason, we call this Bladeless LASIK. This is in contrast to LASIK flaps created with a metal blade by the microkeratome or to the Intralase flap created by the femtosecond laser. The Epi-LASIK flap created by the Amadeus II epithelial separator is non-traumatic. This ultra-thin flap conforms perfectly to the wavefront laser ablation allowing the full effect of the wavefront correction to be realized on the corneal surface. As an example in wavefront ablations, as little as 1-2 microns may be removed from small areas of the cornea. The thicker flaps created by the microkeratome (130 microns), or the Intralase (100 microns) may not fully follow the contours of the wavefront correction. At Ellis Eye & Laser Medical Center, we feel that Advanced Surface Ablation performed under the ultra-thin Epi-LASIK flap is the most accurate laser vision correction procedure presently available. The procedure can be performed once the eye has been numbed with anesthetic drops. A speculum will be positioned to hold your eyelids back just like in LASIK so that your eyelids will not interrupt the actual surgery. The ophthalmologist will then remove the outer cornea cells and proceed with the actual laser treatment. The laser is then positioned to directly treat the cornea. This laser delivery takes less than one minute to complete for most patients. Once the laser treatment or refractive ablation is completed, the corneal curvature is reshaped, thus improving the refractive error. Your ophthalmologist will then place a bandage contact lens on the eye for improved comfort along with anti-inflammatory and antibiotic eye drops. Dr. Ellis will also treat the eye with .02% Mitomycin C ophthalmic drops at the time of the procedure to reduce the chance of corneal hazing. PRK by Advanced Surface Ablation is a safe, effective alternative to LASIK for many potential refractive surgery patients. Advanced Surface Ablation results are very similar to LASIK results, at least for patients up to approximately -6.0 diopters of myopia (nearsightedness). In general, Advanced Surface Ablation patients will have a somewhat slower recovery period. Please feel free to consult one of our staff to better understand the advantages of PRK by Advanced Surface Ablation and whether or not this would be a good option for your vision. Higher amounts of myopia may be treated depending on the individual circumstance. Today, especially with the use of intra-operative Mitomycin C ophthalmic drops to reduce hazing, the post-operative follow-up time can be significantly reduced. 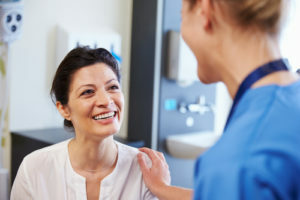 Most patients will need to be re-evaluated one day, three days, one week, one month, two to three months, and four to six months following the PRK procedure. The bandage contact lens can usually be removed on the third or fourth post-operative day when the epithelium is healed. 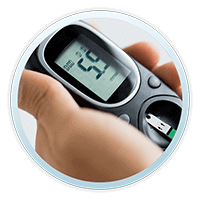 Most patients will only require eye drops to control healing during the first 6 to 12 weeks, but other patients may require topically applied medications for up to 6 months or more following the procedure. In general, the greater the refractive error, the more likely the patient is to require eye drop medications for a prolonged period following the procedure. When PRK is performed under an ultra-thin epithelial flap it is called Epi-LASIK. However, in some cased the PRK procedure maybe performed directly on the corneal surface without a corneal flap. In such cases this is simply termed PRK. The perceived advantage of Epi-LASIK over PRK may be faster more comfortable healing and less risk of corneal hazing. With the advent of intra-operative Mitomycin C the incidence of corneal hazing has been almost eliminated. 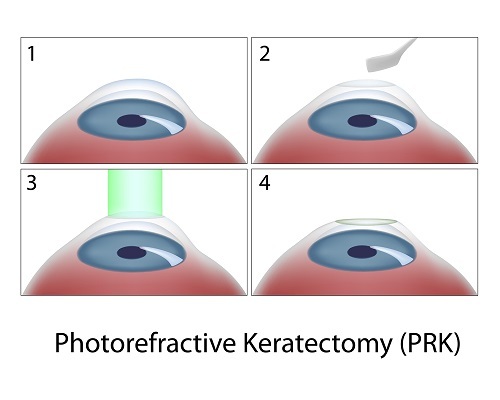 PRK is similar to LASIK, in that the same type of laser is used; however, a corneal flap is not created. 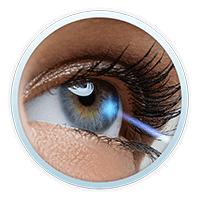 Instead, the laser beam is applied directly to the surface of the eye to reshape the cornea. Formerly, PRK was less frequently used than LASIK because of the risk of the development of corneal haze. As previously stated, this risk is now very low with the use of intra-operative Mitomycin C.Today, many ophthalmic surgeons prefer PRK or the Epi-LASIK procedure to LASIK because of better results with wavefront corrections. Today, many ophthalmic surgeons prefer PRK or the Epi-LASIK procedure to LASIK because of better results with wavefront corrections. There is a massive shift in the United States to PRK and Advanced Surface Ablation (January 2008). In fact, PRK may be the procedure of choice. An additional advantage of PRK is that no tissue is sacrificed to create a 130-micron corneal flap. In Epi-LASIK the epithelial flap is only 30 microns in thickness. This means we have approximately as much as 100 microns more available for laser ablation in cases of high myopia which could not be performed previously because of insufficient corneal tissue when done by the traditional LASIK treatment. With PRK and Epi-LASIK, the initial healing may take several days longer and may cause slightly more post-operative discomfort than standard LASIK. 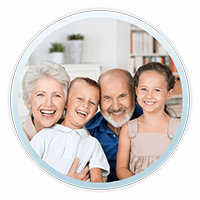 However, superior results with wavefront corrections and the ability to treat higher amounts of myopia and thinner corneas may outweigh the slightly longer recovery period.